It’s almost time for back to school! Are you ready? I’m getting there, but not quite! I’m really excited about the #GettinGutzy Back to School Twitter Party on August 15 to get ideas and learn more about the fabulous sponsor, Gutzy Gear! 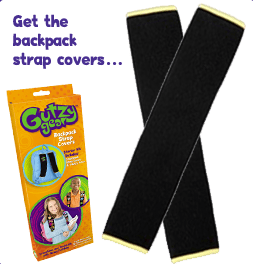 Gutzy Gear are removable patches that kids can attach to a Gutzy strap cover customizing their backpack, duffel bags, messenger bags, etc. It lets kids express themselves and show their personality and interest. They can choose from the 56 Gutzies in the series (new ones are constantly being introduced) and collect and trade them with friends. What a fun way for kids to show the world who they are! Think your kids would like Gutzy Gear? Take this opportunity to get a sample pack! You can also an ambassador where you can host your own in-home Gutzy party and more. Gutzy Gear sponsors a fun FREE party in your home (or the location of your choice) for up to 15 of your kids & their friends. 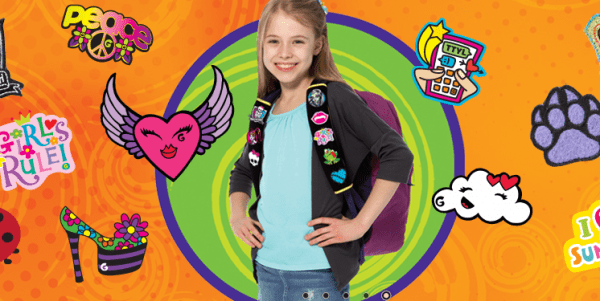 They will provide you with a huge box full of all the latest Gutzy Gear products for all the kids to decorate their backpacks, swap, trade, and have fun, plus tons of great activities and games, and even cool recipe ideas! Because Gutzy Gear is all about expressing yourself, kids will even be able to create their own design for a new Gutzy patch. Gutzy Parties can also be added onto a group your child is involved in (brownie troop, scouts, sports team, camp group, classroom, etc) or even included as part of your next birthday party! Sound Interesting? Apply for this #GettinGutzy Opportunity! Want to get a special RARE Gutzy patch that’s not sold in stores? When you buy any Gutzy product in stores, you can get a rare patch from now until September 30, 2012. Simply scan your form and email your receipt to [email protected] with the subject line “GutzyGear Rare Purchase Promotion” , or you can simply send in your form with the receipt to the address provided. Join Us for the #GettinGutzy Back to School Twitter Party 8/15 8-9pm EST! Power Promoter Prize: This time we are excited to be giving away one of the $100 gift cards to one of our power promoters. A power promoter is someone who helps us get the word out before the party and we will announce this winner during the party. You still have to be present and participating in the party to win. Rules: You MUST be present at the Twitter party and participating to win. Participating means actively answering questions, Tweeting and engaged with us. You must be 18 years or older to win. Winners will be chosen from the RSVP link below. Power promoter prize will only be chosen from the comments on this blog. All winners (including the Power Promoter) have 10 minutes to respond during the Twitter party and confirm they accept their prize by filling out a form that will be Tweeted out during the party. If the form is not completely filled out within 10 minutes, a new winner will be drawn. I was financially compensated for this post. Opinions expressed are my own. Sounds fun! I’ll tweet the party and share on FB! I am still new to the twitter thingy. found the grid, signed up. Not sure what the heck I am doing! But I love the products!! they are fun and completely relevant to the moms I hang out with. We could all enjoy them! @slstaffo will be there! Sounds like a fun party. Sounds fun!!! Can’t wait! These would be great on Gav’s new Madpax! Tweeted, Fb’ed, and google + ed! @merrica30 RSVPing!